We are excited to announce that the popular ITV series Wild Britain with Ray Mears will be returning to our screens this year for a second series. 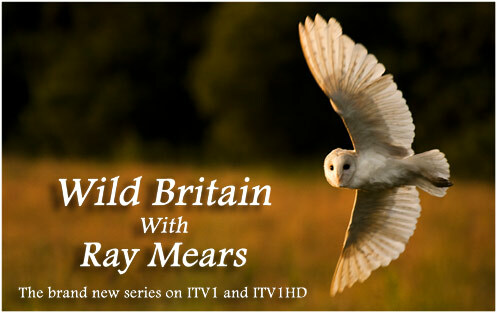 Starting on Friday 14 October, Wild Britain kicks off a new 10-part run, as Ray takes us to some of Britain’s finest and most beautiful natural habitats and celebrates the very best of our wildlife. In this second series, Ray ventures further afield as he explores the wild landscapes of Great Britain – ancient pine forests, deep bogs and remote mountains. From the dramatic Cairngorms in the Scottish Highlands and the underwater world of a sea loch in the Outer Hebrides, to the steep sea cliffs on an island off the coast of Wales, Ray unlocks the vital links between the plant, animal and insect worlds and the role of man in the evolution of our ever changing landscape. Sharing his knowledge of field craft and his passion for our native wildlife, Ray shows us the hidden natural world that lives just beyond our doorstep. This entry was posted in Ray Mears, Site Announcements on October 13, 2011 by Woodlore Team. What a wonderful second series but there seems to be no mention anywhere of it becoming available on DVD! Please, please Woodlore team – will it be available and do you when??? It is a real shame that it seems necessary to disturb nesting birds for the gratification of the camera. Watching episode 7 we saw mr Mears with a RSPB warden looking for hen Harrier chicks. I understand the need for regular monitoring – however the undoubted distress of the female harrier seemed to cause amusement whilst the warden took his time picking up-and showing the chicks to the camera; as a keen nature watcher I found the episode uneccessary and pointless, it would have shown any uninformed watcher there seems to be no regard for the wild life. If I as a keen birder had approached this nest with the same cavalier attitude I am sure I would have incurred the wrath of the RSPB. Oh god please let there be a series two DVD! I’ve been stuck in hospital since May since an operation has left me paralysed (there goes my Bushcraft dreams!) and I’m without TV and my library of Ray’s book and DVD’s are filling the void until I get out of here! I’m really enjoying this series although the episodes are too short, I’m sure there was enough material to fill an hour if only ITV had been willing to give it that much air time. I’m especially looking forward to the next episode ‘Ancient Forest’ and hopefully the whole series will be released on DVD eventually with some of Ray’s brilliant extras. Brilliant stuff again! Hope the video comes out at Christmas. If anyone in the oxford area wants to see the rare water vole, there are lots at the trout farm in the village of bibury,they paddle around during the day without a care in the world. Looking forward to it very much! The episode locations sound great. Another great start to a new series from Ray, I have seen the list of places covered in this series, and can’t wait to see them all. Hope the dvd is out for Christmas. Ah wonderful to see a series about the gems of our land. We love to travel to wild places in sapmi and all over the world, but we always come back in awe and wonder to north wales, north west scotland, the gower, the highlands. Thank you for everything you do! Nice show. It would be good to know where it was filmed. Is it the Cairngorms? I do hope there will be a DVD of series 2 as I can’t get TV and so rely on DVDs for series such as this. Plus, the DVD version doesn’t suffer from ads or short episodes 🙂 and the series 1 DVD was excellent. will this be similar to last series with extended versions showing on Eden? Great! I was surprised that during the first run all episodes were situated in England, and I wished that there were also some in Scotland or Wales. I really loved the first series so I’m looking foward to the second one. Have the BT Vision set to series record already, and am really looking forward to it. Series 1 was so well filmed and presented. Keep up the good work. Fantastic! Really looking forward to it!